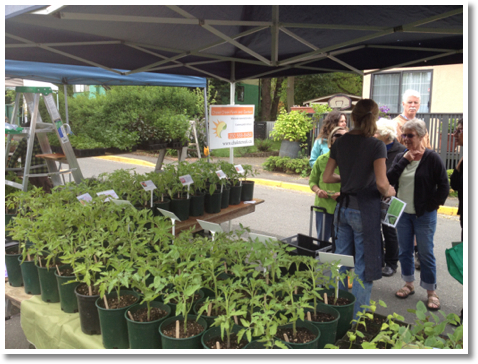 Thank you to the Compost Education Centre for organizing another successful plant sale this year. The rain held off and the warm, dry weather prevailed. We sold out of virtually all our 200 1 gallon tomato plants. A big thank you to the community and all of you who purchased our tomatoes and veggie starts. Have a great growing season and keep us posted with your tomato growing experiences.